Easily turn ground game meat into delicious patties perfect for grilling – just the thing for an open campfire or outdoor grill on a trip. The Double Burger EXPress features a manual design, so there's no need to wait to go home to make delicious patties. This press can even be used in a remote cabin with no electricity. 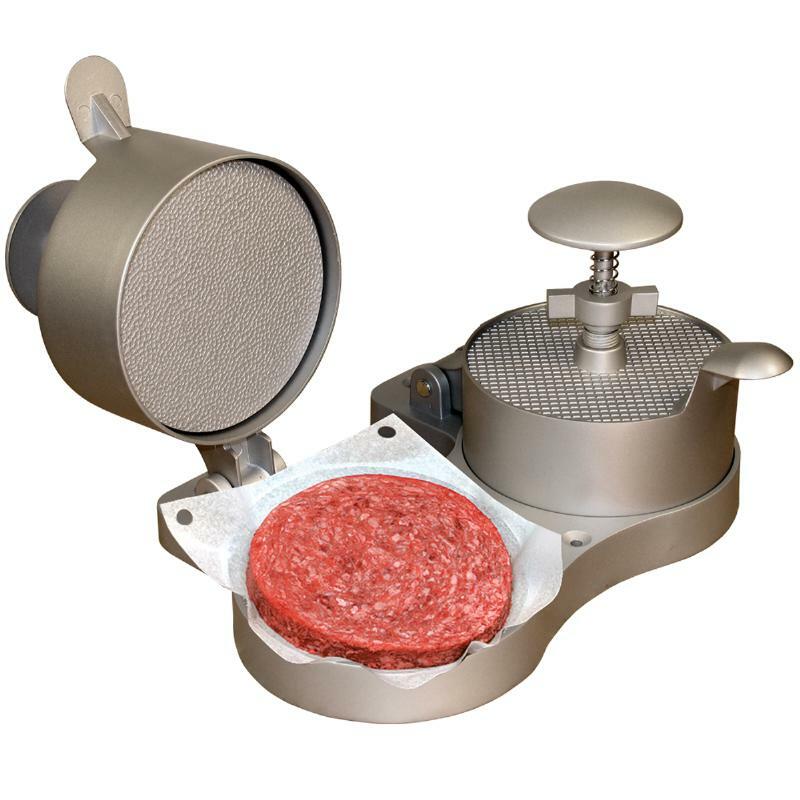 The ejector button ensures no crumbling or breaking from press to grill, and the dual construction cuts patty making time in half.